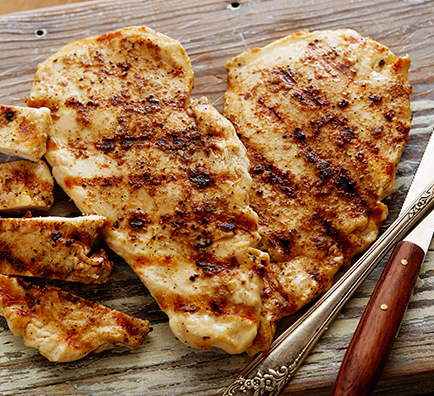 These two pieces of white meat chicken breast, without skin, contain the same amount of cholesterol as a medium egg. The Key Recommendation from the 2010 Dietary Guidelines to limit consumption of dietary cholesterol to 300 mg per day is not included in the 2015 edition, but this change does not suggest that dietary cholesterol is no longer important to consider when building healthy eating patterns. As recommended by the IOM, individuals should eat as little dietary cholesterol as possible while consuming a healthy eating pattern. Animal foods are the only source of cholesterol in our diet. All animal foods that contain fat also contain cholesterol. If we are to eat as little cholesterol as possible, we are to eat as little animal food as possible. This entry was posted in Uncategorized on January 14, 2016 by Bix. I find that people, more and more, are formulating their opinions from the news, or from other people’s opinions. This is what I mean when I say there is less substance and more superficiality. (Carl Sagan On The Dumbing Down Of America) I don’t exclude myself from this; the news informs my opinions too. But, for me, that’s where the journey begins. For some, that’s where it ends. I just saw a new special issue of National Geographic about healthy foods–if you look through it, you’ll see that basically, they’re recommending a plant-based diet!